A Rodríguez-Estrada, JA Meyer, M Echeverría Victoria (2017): “Center-periphery tension in the production of the political communication field. The Mexican case”. Revista Latina de Comunicación Social, 72, pp. 453 to 474. Center-periphery tension in the production of the political communication field. Introduction. Each country’s development characteristics and production in a scientific field such as that of political communication in Mexico is an opportunity to locate the tendencies in scientific productivity in said field. Methodology. In an exploratory design, 202 articles referring to the phenomenon of political communication in Mexico were analyzed so as to observe how production has behaved in a period in relation with world production of the same object of study. Results and conclusions. It was revealed that production tendencies do not manage to structure a consolidated field and that is exactly why they are oriented more towards the periphery of global scientific production. Reflexivity; scientific production; center-periphery; semi-periphery; political communication. 1. Introduction. 2. Reflexivity in the study of science. 3. Scientific production under the center and periphery theorization. 4. Publication tendencies on a borderline object of study: political communication. 5. Methodology. 6. Results. 7. Discussion and conclusions. 8. Notes. 9. References. Intense, fragmented production of the different scientific fields can lead to problems that are to the detriment of their development, such as lack of consensus around certain objects, the generation of duplicate research lines without mutual recognition, going back to certain objects that were exhausted in other historical moments or excessive dependence on certain exogenous theoretical or methodological perspectives, that is, those that were not originated in the contexts in need of explanation. In this sense, self-observation of the development of scientific fields is a necessary activity to mitigate these problems and consequently for them to mature. Though this activity is still discrete but growing, the reflexive look of the scientists from the so-called peripheral countries has revealed the disturbing presence of a flow of scientific knowledge subordinated to the dominating flows, which generally correspond to the countries of the geopolitical north. Subordination implies on one hand lack of acknowledgement of the contributions from the “south” and the prevailing presence of the theoretical and methodological perspectives of the “north” in the projects of the “south”. Lacking international recognition and full autonomy, the scientific activity from the so-called peripheral countries runs the risk of being an isolated appendix of the dominant currents; or else, a resistance trench before these haughty pretensions, depending on how you look at them. The case of Mexico’s scientific production, and in particular the subfield of political communication, is an illustrative example of these problems. At least in the social sciences, this country has been relatively oriented towards a scientific production characterized by inputs and objects characteristic of the country and perhaps of the Latin-American region, remaining relatively far from the prevailing scientific currents–although inflexion towards US academia is more and more frequent, in terms of training and research resources. On the other hand, and in its multidisciplinary nature, the field of communication and specifically political communication is open and at the same time vulnerable to the inclusion of research inputs corresponding to the USA, both because of the origin of said subdiscipline –eminently North American– and because the developments of other disciplines are found there and they are still but beginning to mature in that country. This field reveals a tension dynamics between the development of science in terms of its own and the appropriation of external currents. These problems authorize, consequently, the empirical exploration of two fundamental concerns that appear all throughout the present text. The first has to do with the status of isolationism of Mexican production, in particular within the field of political communication, specifically with respect to the internal (national) or external (foreign) destination of its publications. The other concern has to do with the quality of academic production in the strict sense of whether it enjoys the same international standards of scientific publication (peer reviews, indexing, for example). The latter trait is considered a consequence of said isolationism and it refers tentatively to a sort of resistance or indifference of said field to the global conditions of subordination of scientific periphery. While we are at it, we develop a general concern about the subordination conditions of the scientific production of several peripheral countries in relation with the developed ones, in an attempt to contextualize the asymmetries in which the above problems are inserted. That is how the present article intends to analyze the scientific publication patterns of a borderline object of study circumscribed to a country that is considered semi-peripheral because of its scientific production. The importance of thinking of fields of knowledge is considered analyzing the panorama of social scientific production from the perspective of reflexivity, to locate contexts and forces that participate in its construction. Subsequently, we debate about the tension existing between center and periphery academic production, as well as some implications it has for the makeup of knowledge. Next, we present the methodology followed for the analysis of the Mexican semi-periphery publications, whose object of study is political communication and finally we discuss whether said publications respond to the stated criteria of exclusion or little construction of knowledge. The study is an exploratory one, since like it is stated in the conclusions; the characteristics inherent to production should be explored deeply so as to attain a greater epistemological approach to the field from its circumstances. Becoming aware of the institutional context in which the researcher is inserted is enriching. There are texts that explore the need to open the Social Sciences beyond the propitious schemes built (Wallerstein, 1997). When only fixed organisms are studied, the possibility of understanding complexity in the researchers’ dynamics and their games for legitimization is limited. Understanding the constructivist implication of social science is understanding that it is a social construction of a social construction (Bourdieu, 2001). Approaching the study of those who research and what they produce is to enter the field of reflexivity, the attitude of awareness regarding what is done and how it is done. To Bourdieu (2003) there must be an observation of production in the Social Sciences, in the consideration that it is a constructed reality, and it should be made from the reflexivity that allows “objectifying the subject of objectification” (p. 138). The term reflexivity is discussed in many dimensions of scientific work, above all in the intention to explain Social Sciences phenomenologically and by those that study it as part thereof. In a theoretical-methodological sense, reflexivity provides an awareness tool about the construction that is made when a social event is explained and, while being part of it, observed, studied and described. Social science researchers are socially conditioned (even when it sounds redundant), as are their own objects and subjects of study. From an sociological analysis of science in “The scientist’s trade”, Bourdieu (2001) explains that reflexivity in science presupposes as double exercise, which can be synthesized in that it is about observing those who view the reality in which they are, which is referred to as generalized reflexivity whose objective is not to discredit but just the opposite, to reinforce and control. Since one should not lose sight of oneself when the social world is observed, seeking to generate sociology that is more aware of itself. Reflexivity leads to taking an integrating stance of others, of what is being observed and of us, the observers. Sociological reflexivity is proposed as a tool with a self-critical vision at the service of society, so that in turn, it comes into a reflexive process (Ferreira, 2005). Awareness is created in the representations of the actions, considering the implications on the actions themselves, which leads to new representations that involve change, novelty and dynamism (Ferreira, 2005). Reflexivity is self-adjustment in scientific work, which also allows an active science “because only by means of the knowledge about our knowledge and experimentation about our own experience can we access the realities that make up the world” (Ferreira, 2005, p. 6). Knowledge about what is being done in the production of knowledge has contributions at a level of reflexivity of the work in the scientific field studied, this way we attain the aspiration of assessing scientific practice. Most of the studies on reflexivity advocate for an active scientist who is aware of their own work, but little is said about the work of diagnosing and raising awareness of the works produced, of the fields and communities, precisely of the communicative exchange that gives rise to science and as Luhmann (1991) points out “reflexivity occurs, necessarily, as communication of communication” (p. 44). Reflexivity is considered as that action of opening up the possibility for the scholar to explain where his analysis is approached from in self-awareness. Giddens (1994) considers it a double hermeneutics since Social Science is generated when it is re-inserted in the reality it describes. Said perspective is concerned about making the way the researcher operates visible, about opening the black box of the research and the theories used. This generally happens in the research work itself, the researcher of the scientific text exercising reflexivity; it does not always happen for a field as such. Science, scientists and their products can be the object of study of science itself, since they have their products as objects of study, a process of reflexivity is carried out with respect to their work, that is, when they stop to think about their work and a discourse is generated from it. From the sociological approaches to the phenomenon of science, we should be aware of the meaning that “the actors assign to their context and to the plot of actions that involves them” (Páez and Savall, 2009, p. 4). Under these presuppositions, reflexivity allows the researchers to be aware of their own production, of the tendencies, of the challenges and effects of their scientific production or reproduction. Paving the way to identifying what is dynamic and structured in every field, depending on their production systems, in a sort of sociology of knowledge production from the perspective of this reflexivity. The practice of reflexivity has led to such models as Finlay & Gough’s (2003) which proposes (1) the confessional account of the researcher’s actions, (2) an examination of their interactions, their dynamics with other participants, (3) their analysis of reflection and experience cycles and (4) social critique, as the distinction of coercive practices in institutions, concerned about the imbalance of power in them and (5) the deconstruction of discourses to identify the status with privileges, unmasking the rhetoric of the authoritative voice. The fifth element mentioned by Finlay & Gough (2003) is useful for the person who researches researchers, so as to disentangle the stance halos in the researchers’ reflection. Knowledge and acknowledgement of these systems and dispositions allow understanding the layout of a field and the systems of relations that bring about certain dynamics, a certain identity and a production or reproduction logic. Reflexivity is then that effort that unveils scientific work to understand the observers’ stances, above all in a socially-constructed social science that institutionalizes its construction, its main materialization occurs in its publications. Once the importance of reflexivity to any field of knowledge has been recognized, it is worthwhile to analyze as well the structural contexts that make up the production of knowledge; there are some who postulate that the conditions for the generation of knowledge in peripheral or semi-peripheral countries are so backward that their consolidation is rendered impossible to a certain extent (Beigel, 2014). The literature regarding scientific production (Connell& Wood, 2002; Beigel, 2014; Hwang, 2008; Miller, 2014 and Warczok & Zarycki, 2014) on the one hand sets out the benefits of the internationalization of scientific production, but on the other hand, it highlights the inequality existing in light of the precarious production in the periphery. Throughout the 20th century, the region that attracted the most attention and thus became the center of the network of scientific deference is North America, and the second central region in this network is Western Europe, while other regions are considered peripheral (Schott 1998 en Hwang, 2008). Participation in elite world networks is possible, although it tends to reinforce center-periphery patterns. Mendoza and Paravic (2006) classify world scientific production in two groups: international (center) and peripheral. The former, made up of knowledge that have high scientific and industrial development, keeping in circulation world-class publications that dominate political information diffusion and processing (scientific mainstream) and the latter, the peripheral one, made up of the production generated in developing countries (as the authors point out); with a publication registration that has scant international value and they find it hard to access the world information markets. It is significantly worrying that the thought and knowledge generated in peripheral or semi-peripheral countries remains in isolation, even because their issues and objects of study might require more urgent attention, precisely due to their condition of being peripheral and vulnerable. The UNESCO World Social Science Report (2016) proposes better management of science to address global problems of inequality and this is interesting because it includes inequality in the construction of knowledge, both regarding the type of knowledge, where it is produced and by whom, as well as the infrastructure to access it (p. 274). In this sense, observing the semi-peripheral scientific production patterns allows us to understand the dynamics that is shaping the fields of knowledge in its inclusion or exclusion from the large production networks. Vessuri (1987) in turn believes that a scientific journal implies a degree of sociability among its subscribers, which implies satisfying the cultural needs of members, collaborators and readers. The author points out that collaboration among scientists from a peripheral country enables the development of critical masses in specific fields, since it contributes to the creation of more self-centered networks and invisible schools. Under this precept, in a prescriptive sense in Vessuri’s discourse, the possibility of setting up their own forces is outlined, forces with autonomous criteria that enable taking stances without dependency, and thus start generating meanings of their own for these countries or regions. From a more structural criticism, Beigel (2014) points out that academic publications are some of the existing unequal areas of idea circulation. The author also locates here the peripheral cities that have consolidated as the main academic metropolis, among them: Mexico, San Pablo, Rio de Janeiro, Buenos Aires and Santiago de Chile. Beigel (2014) also points out that the main international databases are dominated by publishing companies and bibliometric indicators are being used more and more to make decisions regarding public investment. Hwang (2008) had already noticed that scientific actors from the periphery were at a disadvantage, due to the fact that their knowledge contributions, which are approved by the international scientific community, are governed by a self-referential system (Hwang, 2008). Thus, the journals that enjoy high ranking at the international level because of their circulation and impact seem to be of greater interest to researchers, however, this fact limits the professionalization of journals from countries of the so-called periphery or semi-periphery. This phenomenon may have two readings: firstly, those that publish at the international level leave production endogamy and enter more competitive dynamics, with greater visualization, and they can broaden their citation and intellectual exchange market and activate more complex dialogs in light of different environments. Secondly, there is the case in which scientific production of the country itself, as well as the above-mentioned symbolic force, is not institutionalized. This situation would seem to promote more those that are better prepared and limit those that are less prepared, that is, those who are better prepared have the capacity to expand with the experience of international journals, but those who do not know yet or are not acquainted with said practice, due to language barriers even, resort to publications from their own countries and at the same time work with those apparently less prepared. In this sense, Castillo and Carrión (2010) put forth the “difficulty to spread the studies conducted since they do not have the scientific journals that would cover and make their research known. That has enabled an inflation of knowledge from journals, mainly from the US, which have the support and diffusion of the large publishing groups” (p. 209). When combining the analysis of dependency with Bourdieu’s reflexivity, Beigel (2014) develops a relational concept of academic domain that considers the unequal distribution of research capacity and international scientific reputation, trying to go beyond the classic stereotype that compares centrality with autonomy; therefore, lack of autonomy presupposes periphery. This position of the author provides a margin suitable for the exploration of the publications that can be located in the semi-periphery or the periphery. From the selection of publications, getting exposure to different forums, collaboration with certain researchers, election of a series of arguments instead of others to support ideas and using quotes by some authors as opposed to others, allow holding the idea that science is a construction due to its condition as a social organism. The validation process is built by the consolidated consensus of those that have the “monopoly” of scientific authority (Bourdieu, 2003). This character can be observed in the methods for acceptance and rejection, both at academic events and in the publication processes and the degree approvals. Though these monopolies cannot be understood in a deterministic manner, since like in every social action there are actors and institutions that can escape them, too, as Charle’s study (2006) will set forth later on, it is in this possibility where the horizon of scientific growth occurs; it should be taken into account that said monopolization lead to center and peripheral productions, which construct scenarios of tension and inequality. The author concludes that the monopolization of international resources in the scientific field leads to stagnation, as revealed by the French case studied. And on the other hand, international opening, the German case, showed greater productivity and creativity in its productions. Therefore, Charle (2006) claims that establishing self-appointed elites that abuse their dominant position tend to erode the purpose of science: creation and innovation. Theorists such as Rodríguez (2013) and Fuentes (1995, 2010), propose the term ‘borderline object’, for objects such as that of political communication, which experience intense conceptual exchanges and in which the knowledge of others have an impact. The multidisciplinary quality of studying political communication makes you want to analyze the layout of this field because of its production. So the person who studies this phenomenon is aware of its effervescence, which favors a field with particular characteristics; therefore, political communication, due to its object of study, is presented as a restless, dynamic field that is in constant transformation (Martínez, 2007), above all since the last decade, the need to communicate in such changing times very fast information exchanges and forms of communication that defy established practices, favoring its being an object of interest to many social scientists, and to professionals in the area. Political communication contemplates a complex process in constant transformation; it exhibits the broad horizon of analysis that is entailed by currently studying in an integral and multidimensional manner the varied negotiation phenomena on the public sphere and its direct, transversal incidence on the dynamics of contemporary democracies. In addition, it presupposes structuring an interpretative multidisciplinary framework that involves dialog, deliberation and consensus between political actors and different citizen groups on the basis of the basic principles of a participative democracy (Cárdena, 2004). Moreover, it assumes that citizen opinions of a socially and culturally complex diversity are sources of legitimacy and permanent renewal of power (Grossi, 2004). Political communication as object of study has proved relevant for social research, where to a lesser or greater extent communication proper, social psychology, sociology, anthropology, political science, law, political economy and public administration converge (Bouza, 2008). And though its importance can be validated from the perspective of the close links between communication and politics at different moments in history, its academic basis had its foundations in 18th and 19th century philosophical, legal, political and sociological studies, it was developed with the US empirical research of the second half of the 20th century and it was strengthened in the last decades with the processes of knowledge internationalization from different perspectives of analysis. In this sense, the large initial dispersion, resulting from various forms of interpreting phenomena circumstances , has been overcome in the last thirty years since great interest has aroused in the object of study that has influenced the formation of academic groups in different Latin-American countries. Then “understanding a field such as that of political communication proves interesting both because of its nature as borderline object and because of its close connection with external determining factors since the actors often act as judge and party.” (Rodríguez-Estrada, 2015: p. 183). There are different approaches to the way in which a field of knowledge is set up, some are subjectivized by the interactions between its authors and the perceptions generated from them, and others lead to the written representation and cognitive evidence of knowledge in the field (Bourdieu, 2001). Knowing more about the materialization of the scientific field of political communication allows identifying tendencies in their publications and recognizing the hits and misses in said configuration. The production and generating principle of the scientific thought, as Bourdieu (2003) indicated, becomes a grammar, both a historical one because of its restriction in linguistic games, and because it has the form embodied by the universal laws of thought. Source: the author with information from Scopus by typing the concept of “political communication” on December 1st 2016. When publication tendencies are reviewed in databases such as Scopus, it is possible to observe a growing tendency in the production of the object of study, it is possible to observe a growth in Chart 1, showing that it has been significantly stronger in the last two decades (see Table 1), only the 2006-2016 production with 68.46% of production, triples production with respect to the previous decade. 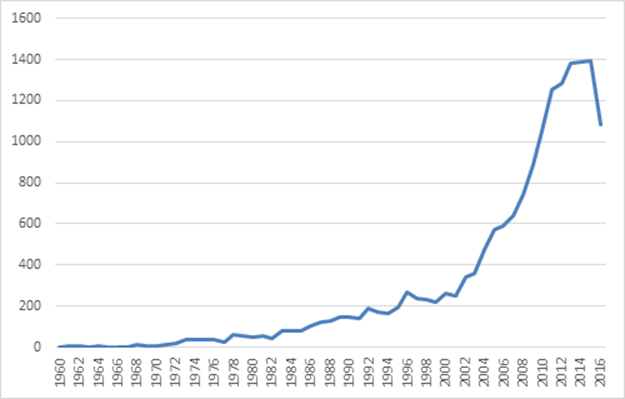 Table 1 also shows the increase occurred in the number of publications over time, maintaining an exponential tendency, it also shows the institutional growth of the field at the international level, which involves Universities, journals, researchers and processes to increase the publication, including the popularity of the object of study. It is convenient to observe how that production behaves in a semi-peripheral country such as Mexico that, despite its low absolute productivity according to data by Latin-American WoS and SCOPUS, it is still the one with the greatest relative importance in the region after Brazil. Table 2 shows that the tendency of publications by countries, both on Scopus and on WoS, is very similar in terms of proportions. In the Ibero-American region Spain stands out with a position between 6th and 7th place in the ranking of world production as well as Brazil between the 12th and 17th positions. Below these two countries, which can still be considered far from the centers of world production, Mexico can occupy the 28th and 31st positions in the ranking. In this regard, Mexico can be seen as one of the semi-peripheral countries with a production to support that corresponding to 0.5% (between 47 and 89 publications) and the closest country Brazil, has twice that percentage (1.47%) and triple the number of productions (between 116 and 253 publications). Source: collected from Scopus and WoS on November 28th, 2016. Fuentes (1998) establishes that there are three contextual dimensions to analyze the structuring of the field of academic research of communication in the country: the cognitive, the sociocultural and the institutional dimensions. In the first, the author postulates that the factors and change processes that affect the production, reproduction and circulation of knowledge should be considered, in the sociocultural dimension he considers factors and processes that act in the systems of relations with cultural, political and economic structures, subjected to far-reaching transformations and in the institutional dimension, he refers to the changes where cognitive and sociocultural factors converge (Fuentes, 1998: p.36). The author explains that these structural formations have an impact on the formation and composition of the habitus, professionalization and institutionalization, and both social and cognitive, specialization of production, social legitimization, and assimilation of meaning and sustainability of the field itself, which he refers to as self-reproduction of the field. These aspects are affected by the way in which knowledge and its transmission are organized. Knowing the forms of knowledge transmission can be a good indicator to be ahead of academic design and the rules of the game of scientific production. Under this premise, and with the objective of exploring certain traits of productivity in the Mexican field of political communication regarding its quality and disciplinary alignment, the results of the bibliometric work are presented in publications thereof; although these are succinct data, they could be the basis for further-reaching descriptive research. For the analysis of the publications, we performed the documentary systematization of the writings from 1970 to 2012 . For the analysis of the publications, the first strategy was the general search for texts related with political communication in Mexico, an electronic exploration was carried out. The electronic platforms to obtain the texts were the Centro de Documentación en Sciences de la Comunicación (CCDOC) of the Instituto Tecnológico y de Estudios Superiores de Occidente (www.ccdoc.iteso.mx) and the Red de Revistas Científicas de América Latina y el Caribe, España y Portugal (REDALYC), at the Universidad Autónoma del Estado de México (www.redalyc.org), the Brazilian database Scientific Electronic Library Online (Scielo) (www.scielo.org) and Scopus (www.scopus.com). We started from the criterion that the articles obtained from these databases have more possibilities of diffusion due to their electronic communicability and free access (except for Scopus, which only reported 3 articles in English). These concepts were introduced in the search field: political communication, communication and democracy, communication and government, public opinion, the media and politics, the media and democracy, the media and the government , and other similar concepts that were generated by the corpus of 202 documents. The majority of the texts found are peer-reviewed scientific articles and some other texts (see table 3). In the area of Social Sciences studies, the publication guidelines continue to have the book as part of the publication culture (Zincke, 2012), that is why they were also included in the first revision. A publications database was prepared with the following fields: name of the researcher /author (first name appearing on the article), coauthor 1 (second name appearing on the article) and coauthor 2 (third name appearing on the article), title of the publication and information about the journal or book. Further information was generated from the journals where the articles were published and the type of journal was researched from what is reported in the Latindex catalog to gather information about the journals’ origin and the type of publication. The bibliometric study allows observing the disciplinary frontiers in fields such as communication which according to Fuentes (1996, 2010), has blurry frontiers regarding both topics and objects of study. In this sense, research tends to be multidisciplinary due to the interaction between two or more different disciplines, which can result from the communication of ideas or even by the integration of guiding concepts, methodologies, procedures, epistemology, terminology, data and organization of the research. These are concepts that help give a dimension to what the analysis of the scientific field of communication can reveal. The distribution of the texts can be observed in table 3, where 51.01% of the documents located correspond to the most frequent dynamics in the world of scientific production, peer-reviewed articles, which allows focusing on the characteristics of its production. It is followed by production in book chapters with 18.69% and non-peer reviewed with 13.64%. Source: the author prepared it from the material collected. Given that most of the production concentrates on peer-reviewed articles, an exploratory analysis is carried out about the characteristics of the publications depending on the journals where they are found. In a 2016 study, where the tendencies of publications  on communication in Mexico are explored between 2000 and 2011, Portillo (2016) found that studies on Political communication for the center region are the most prolific in the area, locating 235 texts, following those dealing with discourse, semiotic and language (284) and IT and the Internet (242). The northeast and south-southeast regions ranked first in the production of texts on political communication with 20 and 18 documents respectively. This national tendency highlights the importance this field has in a country with so many political issues and with an effervescent political communication phenomenon. Table 4 shows the distribution of the articles in the different journals, of the 104 articles collected for the analysis, there is a tendency to the professionalization of the publications, since 80.77% of the documents went through more rigorous peer-review processes in their acceptance, for reviewed or indexed journals, while 19.23% were published in journals that have a review process, but are not indexed. Although there are signs of a transition to sophistication, there is prevalence (41.35%) of publications in journals that are only peer-reviewed, while 39.42% are indexed, which seems to show that some of the publications about the region’s topics are undergoing a transition towards more rigorous scientific constructions. In addition, the greatest concentration of publications (12) appeared in the journal Communication and Society, followed by Revista Mexicana de Ciencias Políticas y Sociales (10); both journals are indexed and produced by prestigious Universities in the country, which also allows identifying that there is an intention to produce the best publications in the country. *The peer-reviewed publication goes through a process of evaluation by peers, but it is less rigorous than the reviewed journal. **Although the CONEICC yearbooks do not work as a journal, they go through a peer-review process. Source: the author with Latindex data. Latindex  provides a classification of journals based on the areas they deal with, taking into account the journals where the publications analyzed appeared, it was possible to classify them on the basis of the discipline they belong to, although it should be pointed out that the classification may not be the right one due to certain problems of logical grouping, since for example, it is considered that the Humanities and the Social Sciences are broader fields than those deriving from the other areas indicated such as Communication and Psychology, however, it was used like that in order to establish standardization. Table 5 shows the multidisciplinary nature Fuentes (1995) referred to, although it is hard to say whether it is due to a decision or lack thereof, that is, if there were more journals on political communication as such, it is likely that more would be published on them, but because that is not the case, there is disciplinary flexibility, both for the person who publishes and for the person who accepts the publication. On the one hand, the authors would have to adapt their publications to the disciplinary criteria of the journals and the latter would have to show certain flexibility to accept a variety of topics that are not necessarily restricted to one discipline. Table 5 shows that 28.57% of the documents on political communication is published, according to the Latindex classification, on communication journals, and secondly (22.45%) in those classified as Social Sciences; what is striking is the fact that those on Political Sciences, which would appear to be thematically closer, only have 12.24%, below those on the Humanities with a 16.33%. Fields like communication move easily through certain multidisciplinary and theoretical eclecticism (Alsina & Jiménez, 2010). But the authors also point out that there is a price to pay for such condition, certain disorder is perceived which generates distrust among the members of other scientific communities. A disciplinary field also exits by differentiation from others; it is even built because of that. According to the authors, a discipline makes progress much more easily and rapidly by means of discussions among the members of the epistemic community (Alsina & Jimenez, 2010). In the case of political communication, it then appears that lack of theoretical and methodological consensus would seem to make its progress more difficult. Source: the author from the databases consulted. *The totals do not report the number of articles but the number of journals in that disciplinary classification. In terms of internationalization (Table 6), it is observed that Ibero-America follows a similar tendency to that presented on Scopus and WoS (Table 2), regarding publications on political communication, in this case in Mexico. Spain, according to Table 6, has the highest percentage with 6.73% 7 after Mexico with 80.77%, this fact attracts our attention, if we consider that it would be of greatest interest to publish in similar countries, since possibly the schemes of problems on political communication have more similarities in the Latin-American region than in a country like Spain, though probably a central country (although not necessarily with central production) contributes better internationalization credentials which are necessary for certain academic certifications. Therefore, it is possible to observe endogamic production. This is also the result of the criteria of belonging, since perhaps semantic communities are generated where it makes more sense to publish in certain journals for reasons of even an ideological nature. One of the greatest concerns in terms of the object of study of Social Sciences is social and economic inequality, as it was mentioned before, scientific production is not exempt from an unequal dynamics, there are centers of scientific production with an almost industrial process for their generation, as it is the case of the USA, which might even activate also certain monopoly practices in knowledge. In turn, the Ibero-American region continues to be far from belonging to the major centers of knowledge production on political communication, Spain produces but 10% of the total scientific articles the USA publishes (Table 2). It is easy to see that production in the case of the Mexican semi-periphery seems to have an endogamic behavior, but one with the aim of becoming professional and therefore, international in the long run, which would be achieved by following the center practices of scientific production; on one hand, researchers seem to be rather inclined to publish in a center, but Spanish-speaking country, probably intending to have greater visibility; on the other hand, even though it would seem that publications seek to attain the indexation that would make them more competitive over time, this process is still on hold. When the entire scientific production panorama of a borderline object such as that of political communication is observed, it is possible to see that, in terms of reflexivity, the Science that is built from the same shy, poorly-structured schemes seem restricted; though it may evolve thanks to the impulse given to the study of borderline objects at the international level, with an inertia that appears uncertain in terms of production and with little interest in becoming international. It is not easy to provide accurate conclusions in this sense because assigning a stance from the data available is a complex job, however, we do provide guidelines to carry on the study, and at the same time shed light on the fact that there is inequality both in the production records and the professionalizing practices, in terms of infrastructure and possibly economic capital. The implications mentioned at the beginning of the text, indicate that it is significant for the contexts of peripheral and semi-peripheral countries to be included in the panorama of worldwide scientific production. On the one hand, the production of knowledge and language positioning is yet another debate that should be promoted to instigate views and the autonomy of other approaches without jeopardizing scientific rigor and sophistication. On the other hand, the personality of productions also result from the resources available, in the case of political communication, it is possible to observe high productivity in the Humanities which reveals a paradigm above all of an interpretative rather than empiricist nature for the case studied (Mexico), which does not seem to follow the tendency in Spain, for example, Martínez (2007) points out that empiricist production predominates in his country. To understand the above better, after an exploratory study such as the one presented here, we propose generating research lines whose guidelines are reflexive contemplation, just as it has occurred in other Spanish-speaking countries like Argentina (Beigel, 2004; Murmis, 2005), Chile (Ramos Zincke, 2012) and Spain (Martínez, 2007), which have generated analyses of both the circulation of scientific productions and the type of contents they present for Social Sciences, political Sciences and communication. In this sense, in a semi-periphery country like Mexico, the nature of publications on political communication still needs to be analyzed. It is considered to be a process of active reflexivity, since it is relevant to know how the social reality constructed from Science is being generated to try to position it on the basis of knowing its strengths and weaknesses. As a result of this exploration, it is suggested that studies like that by Ramos Zincke (2005) be conducted presenting an approach to the way in which the publications are constructed, their predominant paradigm and the way in which the theoretical-methodological approach occurs. This way, it is possible to know more about the current state of political communication production, what issues are being overestimated and what is being left out of the analysis and observation. We would also recommend creating some sort of standardization of measurement so that it is possible to carry out comparative analyses by country. This situation has resulted in observations and recommendations in the region, even in terms of creating searchers of their own like Redalyc and Scielo, however, the dynamics is far from the center models. As to the availability of production for the circulation of knowledge, it may be pointed out that open sources, most of the peripheral publications, have the advantage that they circulate more among Spanish-speaking colleagues, however, it is important to establish a dialog with colleagues who speak different languages, but that does not imply only countries with center scientific production. Although we can mention the advantages of a Science that is not so specialized, with journals in each sub-field, and that flexibility in that sense might be closer to the purposes of Science than to breaking paradigms instead of perpetuating them; it is relevant to observe that the infrastructure also conditions certain unorthodox circles, where the conditions hinder the possibility above all of more sophisticated dialogs open to specialists in political communication in the world. The phenomenon of political communication as such gains more relevance every day, we observe that public opinion is having more influence than at other times probably, plebiscites, manifestations and participation on social networks is shaping new interaction models with characteristics of their own, the pace is fast and the phenomenon is not restricted to some country or other. Now more than ever, it is important to have a dialogic, connected scientific circulation that transcends industrialized production and infrastructure problems. Considering the publications on political communication at the international level, it is worthwhile to observe the national and regional tendencies to reveal what is being studied recurrently and what is being left behind in theoretical and methodological terms to figure out why this is so. For example, in US studies there are publications from the perspective of political psychology that include methodologies such as experimentation and their results become resources for other studies on political communication related with behaviors or effects, while in Mexico studies are not usually explored like that or rather no communication is established with psychology for such purposes. An additional methodological challenge in this type of research is the dislocated nature of the scientific production, a problematic trait for any analysis of contemporary global production, with research groups that are more and more often multinational and horizontal, where it is difficult to determine the national origin of a publication when its theoretical makeup comes from a given country, its methodological operation from another and its publication from yet another. In this sense, it would be necessary to reconsider the categories of endogenous and exogenous, for example, since the distinction of origin is ever more ambiguous in light of this international division of scientific work. Following these approaches in the region also allows identifying what is dynamic and structured in each field on the basis of their production systems, in a sort of sociology of knowledge production from the perspective of this reflexivity. Some authors understand communication as a form of studying the political phenomenon as an ideological, social construct (from Lazarsfeld, Laswell and Campbell). De 1972 a 1928 se registra una producción menor en Scopus, tan sólo en esos 44 años sólo están registradas 118 publicaciones. The table includes the first place in world production: USA, since it is useful to show a country that has center production as opposed to Latin-American countries with peripheral production. The process of analysis is part of what was done for one of the authors’ doctoral thesis (Rodríguez-Estrada, 2015). The same concepts were used in English for Scopus. Both in digital and paper texts. Las revistas Political communication y la de Sociologia e Politica son revistas internacionales con producción de comunicación política en México, una de Reino Unido y otra de Brasil, localizadas por Scopus dentro del mismo rango de fechas, 1970-2012. Bourdieu, P. (2001). El oficio de sociólogo. México: Siglo veintiuno. Bourdieu, P. (2003). El campo científico en Intelectuales, política y poder. Buenos Aires: EUDBA. Bouza, F. (2008). Una reflexión metodológica sobre la investigación en Comunicación Política. Telos (74), 1-2. Castillo, A & Carrtón, M. (2010) Investigación en Comunicación. Estudio bibliométrico de las Revistas de Comunicación en España. Comunicación y Sociedad (23 (2), 289-393. Charle, C., Wagner, P., Schriewer, J. (2006). Redes intelectuales transnacionales, formas de conocimiento académico y búsqueda de identidades culturales. Ediciones Pomares: Barcelona. Fuentes, R. (1995). La emergencia de un campo académico: continuidad utópica y estructuración científica de la investigación de la comunicación en México. Tesis de Doctorado, Universidad de Guadalajara. Finlay L, Gough B. (2003). Reflexivity. A practical guide for Researchers in Health and Social Sciences. London: Blackwell. Giddens, A. (1994). Las nuevas reglas del método sociológico, Amorrortu, Buenos Aires. Grossi, G. (2004). L´opinione pubblica. Roma-Bari, Laterza. Martínez, M. (2007). Agitación en el campo. Nueve ideas para la investigación sobre Comunicación Política en España. Política y Sociedad. 44(2), 209-227. Mendoza, S. & Paravic T. (2006). Origen, clasificación y desafíos de las revistas científicas. Investigación y postgrado. 21 (1). 49-75. Páez, O. & Savall, M. (2005). La enseñanza de la investigación en trabajo social [CD-ROM]. In Anais V Coloquio. Portillo, M. (2016). La investigación de la comunicación en México. Un programa a través de las regiones a inicios del siglo XXI. Colección Tendencias: México. Ramos-Zincke, C. (2012). Estructuras de comunicación en el campo de la ciencia social en Chile: un análisis de redes 1, 23, 7–42. Ramos-Zincke, C. (2005). Cómo investigan los sociólogos chilenos en los albores del siglo XXI: Paradigmas y herramientas del oficio. Persona y Sociedad 19(3), 85-119. Rodríguez L. (2013). Objetos subordinantes: la tecnología epistémica para producir centros y periferias. Revista Mexicana de Sociología. 75 (1), 7-28. Rodríguez-Estrada, A. (2015). Las prácticas y redes de investigadores del campo de la comunicación política en México. Tesis Doctoral ITESM, Campus Monterrey. Sánchez Ruiz (coord.). Qué pasa con el estudio de los medios. Diálogo con las ciencias sociales en Iberoamérica. España: Comunicación Social. Sanders, K. (2009). La investigación en Comunicación Política: La búsqueda de la perspectiva para ver el “elefante de la habitación”. Telos (74). Vessuri, H. (1987). La revista científica Periférica. El caso de Acta Científica Venezolana. Interciencia, mayo-junio 12 (3). 124-134. Wallerstein, I. (1997). Abrir las ciencias sociales. Comisión Gulbekian para la reestructuración de las ciencias sociales. México: Siglo XXI. Article received on 27 on January 2017. Accepted on16 April.